Below is the official list of Alfa Romeo dealers chosen for North America. The Alfa Romeo brand will be sold in the United States and Canada through an exclusive group of top performing Fiat dealers plus select Maserati dealers in key market areas. Fiat Studios will be notified they have made the cut and have been offered an Alfa Romeo franchise in three phases. The first began during the second quarter of this year. The second wave of Alfa Romeo dealers will be notified later this year and the final phase will happen sometime during the first quarter of 2015. 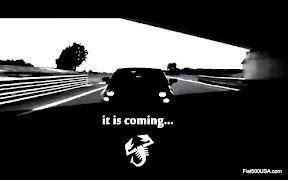 All Maserati dealers that have been chosen will be contacted during the first phase. The initial wave consists of 86 dealers spread between Canada and the United States. Strict standards have been put into place to become an Alfa Romeo dealer, with heavy emphases on customer satisfaction ratings. The different phases give all dealers an opportunity to meet the requirements going forward. FIAT of Vancouver, dba Alfa Romeo of Vancouver, Vancouver, B.C. Maranello FIAT, dba Maranello Alfa Romeo, Vaughan, Ont. 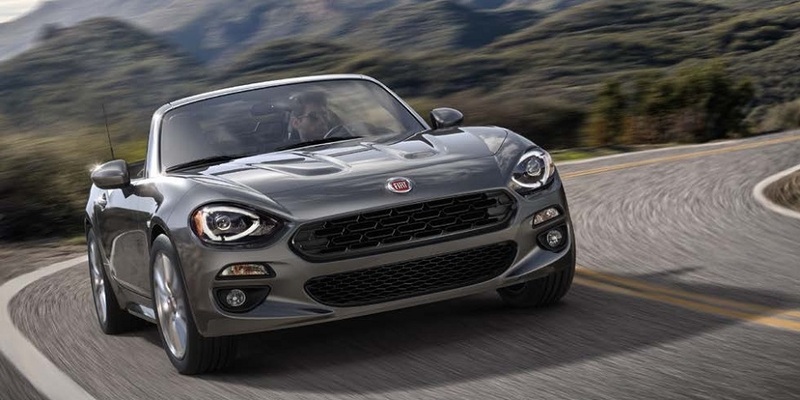 FIAT of Huntsville, dba Alfa Romeo of Huntsville, Huntsville, Ala.
Larry H. Miller FIAT of Tucson, dba Larry H. Miller Alfa Romeo Tucson, Tucson, Ariz.
FIAT of Scottsdale, dba Alfa Romeo of Scottsdale, Scottsdale, Ariz.
Landers FIAT, dba Landers Alfa Romeo, Benton, Ark. 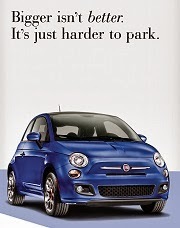 FIAT of Fayetteville, dba Alfa Romeo of Fayetteville, Fayetteville, Ark. FIAT of Burlingame, dba Alfa Romeo of Burlingame, Burlingame, Calif.
FIAT of Bakersfield, dba Alfa Romeo of Bakersfield, Bakersfield, Calif.
McKevitt FIAT, dba McKevitt Alfa Romeo, Berkeley, Calif.
Premier FIAT of Fremont, dba Premier Alfa Romeo of Fremont, Newark, Calif.
Orange Coast FIAT, dba Orange Coast Alfa Romeo, Costa Mesa, Calif.
Santa Monica FIAT, dba Santa Monica Alfa Romeo, Santa Monica, Calif.
FIAT of Los Angeles, dba Alfa Romeo of Los Angeles, Los Angeles, Calif.
Kearny Mesa FIAT, dba Kearny Mesa Alfa Romeo, San Diego, Calif.
Walter's Fiat, dba Walter’s Alfa Romeo, Riverside, Calif.
Mossy FIAT, dba Mossy Alfa Romeo, National City, Calif.
FIAT of San Francisco (San Francisco Motors), dba Alfa Romeo of San Francisco, San Francisco, Calif.
Maserati of Walnut Creek, dba Alfa Romeo of Walnut Creek, Walnut Creek, Calif.
AutoNation FIAT North Denver, dba AutoNation Alfa Romeo North Denver, Northglenn, Colo.
FIAT of Fairfield County, dba Alfa Romeo of Fairfield County, Stamford, Conn.
Rick Case FIAT, dba Rick Case Alfa Romeo, Davie, Fla.
FIAT of North Miami, dba Alfa Romeo of North Miami, North Miami, Fla.
FIAT of Melbourne, dba Alfa Romeo of Melbourne, Melbourne, Fla.
FIAT of Pensacola, dba Alfa Romeo of Pensacola, Pensacola, Fla.
Sunset FIAT of Sarasota, dba Sunset Alfa Romeo of Sarasota, Sarasota, Fla.
FIAT of Winter Haven, dba Alfa Romeo of Winter Haven, Winter Haven, Fla.
FIAT of Orange Park, dba Alfa Romeo of Orange Park, Jacksonville, Fla.
Greenway FIAT of East Orlando, dba Greenway Alfa Romeo of East Orlando, East Orlando, Fla.
Fields FIAT, dba Fields Alfa Romeo, Orlando, Fla.
FIAT of Savannah, dba Alfa Romeo of Savannah, Savannah, Ga.
FIAT of Chicago, dba Alfa Romeo of Chicago, Chicago, Ill.
Bettenhausen FIAT of Tinley Park, dba Bettenhausen Alfa Romeo of Tinley Park, Tinley Park, Ill.
FIAT of Metro East, dba Alfa Romeo of Metro East, Fairview Heights, Ill.
FIAT of Glenbrook, dba Alfa Romeo of Glenbrook, Fort Wayne, Ind. Expressway FIAT of Evansville, dba Expressway Alfa Romeo of Evansville, Evansville, Ind. 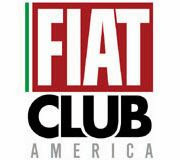 Jake Sweeney FIAT , dba Jake Sweeney Alfa Romeo, Florence, Ky.
Landers FIAT, dba Landers Alfa Romeo, Shreveport, La. Heritage FIAT, dba Heritage Alfa Romeo, Owings Mills, Md. Criswell Maserati, dba Criswell Alfa Romeo, Germantown, Md. 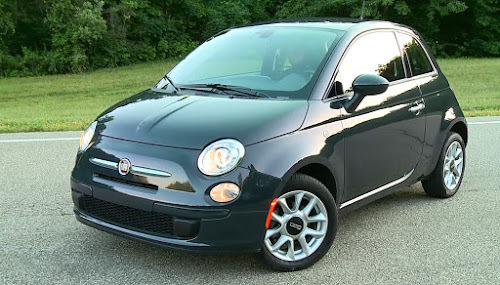 Suburban FIAT, dba Suburban Alfa Romeo, Ann Arbor, Mich.
Fox FIAT, dba Fox Alfa Romeo, Traverse City, Mich.
Golling Alfa Romeo FIAT , dba Golling Alfa Romeo, Bloomfield Hills, Mich.
FIAT of Lakeside , dba Alfa Romeo of Lakeside, Macomb, Mich.
Zeigler FIAT of Grandville, dba Zeigler Alfa Romeo of Grandville, Grandville, Mich.
FIAT of Bloomington, dba Alfa Romeo of Bloomington, Bloomington, Minn.
Northtowne FIAT of Kansas City, dba Northtowne Alfa Romeo of Kansas City, Kansas City, Mo. FIAT of Omaha, dba Alfa Romeo of Omaha, Omaha, Neb. 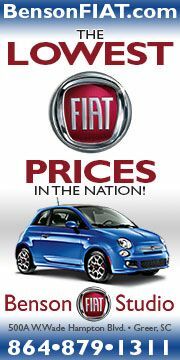 FIAT of Las Vegas, dba Alfa Romeo of Las Vegas, Las Vegas, Nev.
Findlay FIAT, dba Findlay Alfa Romeo, Henderson, Nev.
FIAT of Maple Shade, dba Alfa Romeo of Maple Shade, Maple Shade, N.J.
Fullerton FIAT, dba Fullerton Alfa Romeo, Somerville, N.J.
FIAT of Larchmont, dba Alfa Romeo of Larchmont, Larchmont, N.Y.
Hendrick FIAT of Cary, dba Hendrick Alfa Romeo of Cary, Cary, N.C.
FIAT of Edmond, dba Alfa Romeo of Edmond, Edmond, Okla.
Baierl FIAT, dba Baierl Alfa Romeo, Wexford, Pa.
Benson FIAT , dba Benson Alfa Romeo, Greer, S.C.
Harper FIAT , dba Harper Alfa Romeo, Knoxville, Tenn.
Berlin City FIAT , dba Berlin City Alfa Romeo, Williston, Vt.
Safford FIAT of Tysons Corner, dba Safford Alfa Romeo of Tysons Corner, Vienna, Va.
Safford FIAT of Fredericksburg, dba Safford Alfa Romeo of Fredericksburg, Fredericksburg, Va.
FIAT of Alexandria, dba Alfa Romeo of Alexandria, Alexandria, Va.
Pomoco FIAT of Newport News, dba Pomoco Alfa Romeo of Newport News, Newport News, Va.
FIAT of Tacoma , dba Alfa Romeo of Tacoma, Tacoma, Wash.
Barton FIAT, dba Barton Alfa Romeo, Spokane, Wash.
Urse FIAT of Morgantown , dba Urse Alfa Romeo of Morgantown, Morgantown, W. Va.
Moses FIAT of St. Albans, dba Moses Alfa Romeo of St. Albans, St. Albans, W. Va.
Bergstrom Maserati, dba Bergstrom Alfa Romeo, Appleton, Wis.
Fiat 500 Abarth Automatic Hits Production! 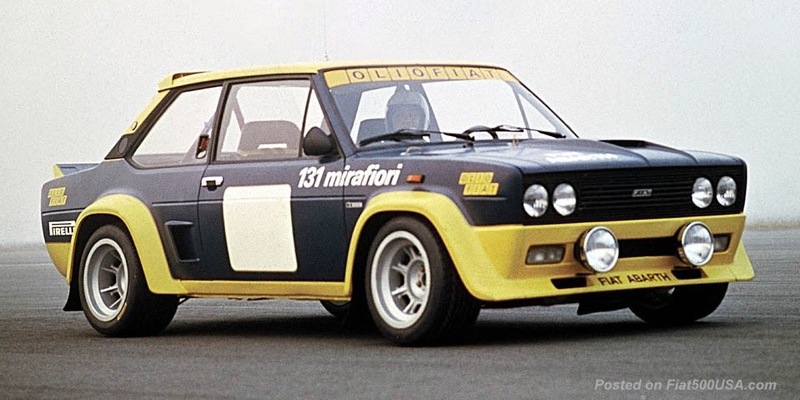 Don't Miss the 2014 Fiat FreakOut! "Jonesin' for a Fiat 500" is Back!